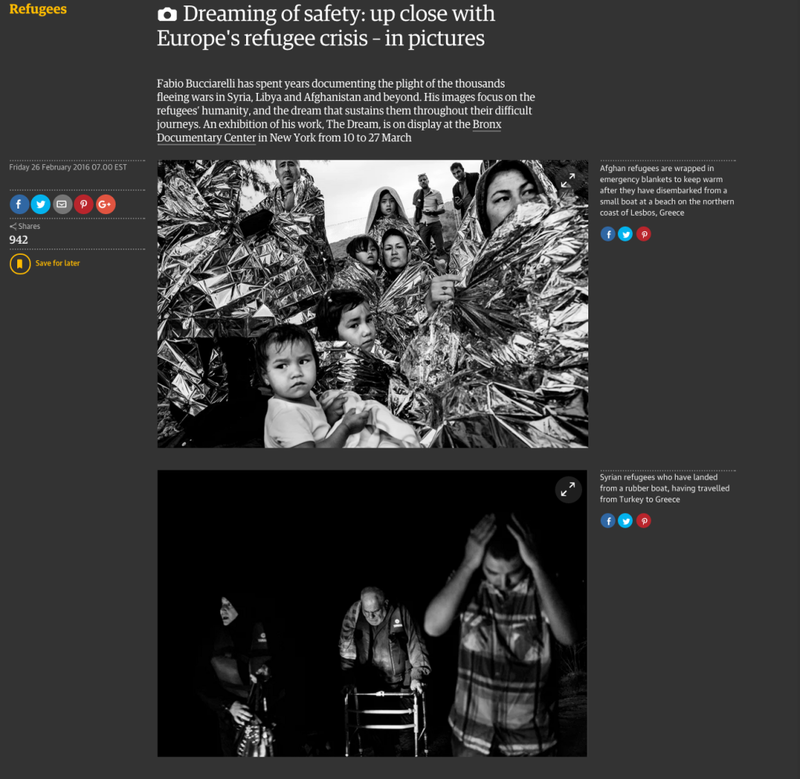 Fabio Bucciarelli has spent years documenting the plight of the thousands fleeing wars in Syria, Libya and Afghanistan and beyond. His images focus on the refugees’ humanity, and the dream that sustains them throughout their difficult journeys. An exhibition of his work, The Dream, is on display at the Bronx Documentary Center in New York from 10 to 27 March.